The law relating to the distribution of insurance-based investment contracts in France is a complex accumulation of statutory provisions, European legal instruments and case law. Lately, the transposition of the Insurance Distribution Directive (IDD) has added an additional layer of complexity as no real effort has been made to rationalise its impact taking into account the existing legal framework, not least Regulation 1286/2014 on key information documents for packaged retail and insurance-based investment products (”PRIIPS Regulation”). 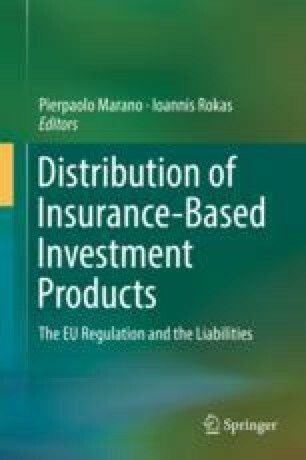 This Chapter deals specifically with the liability arising from the distribution, both by insurers and intermediaries, of insurance-based investment products.